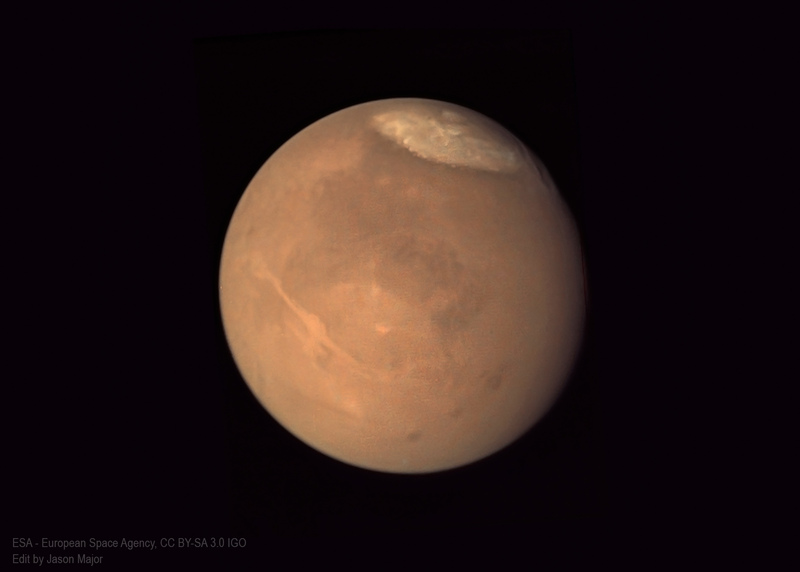 Mars imaged by ESA’s Mars Express spacecraft on July 24, 2018 from about 6,000 miles. Mars will continue to be bright (and has been for several weeks, really) well into August as we pass the July 31 closest approach with Earth. That’s next Tuesday, when we’ll only be 35.8 million miles apart. (Because of slight orbital angle differences this doesn’t occur on the same exact day as opposition.) It’ll be the closest we’ve been since August 27, 2003, which itself was the closest in over 60,000 years! 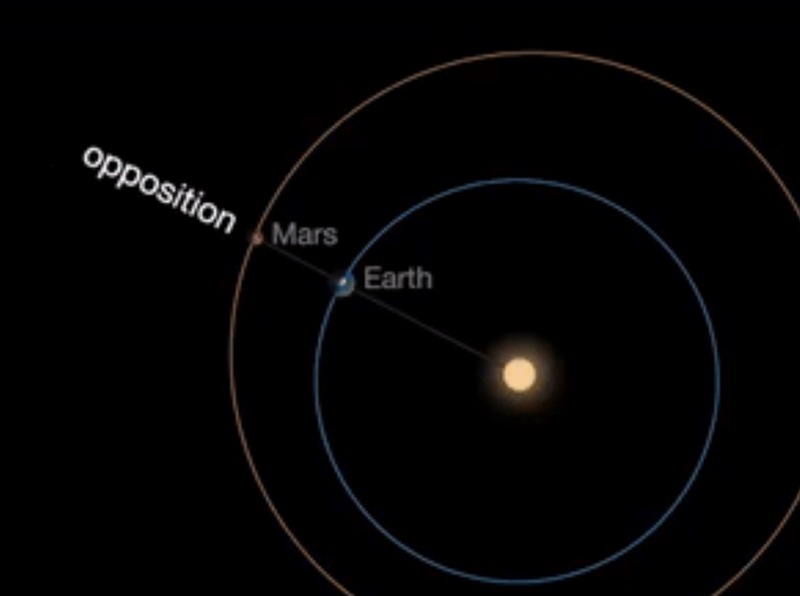 The next close approach will be in October 2020, when Mars and Earth will be 38.6 million miles apart. Today also happens to bring a total lunar eclipse into view for part of the world. It will be the longest lunar eclipse of the century…but it won’t be visible from the U.S. (or the majority of North America, actually.) But if you hear about the “Blood Moon**” that’s what that is…Europe, Africa, and much of Asia are in for a great show! *That’s 58 million kilometers, which equals about 75 round-trips from Earth to the Moon! **It’ll still be a full Moon for North America though…actually a “mini-moon” as the Moon will be at apogee today, about 252,300 miles away. Next Post Does America Need a Space Force?